The Stihl MS 181 is proof that technical supremacy can also be found in small packages. Considered one of Stihl’s “small” chainsaws, the MS 181 weighs a mere 4.3 kg and has a power output of 1.5 kW. This lightweight chain saw is a really practical tool to have around the house as it can be used for property maintenance, pruning, cutting firewood and even felling small trees. Modeled after the Stihl MS 171, the MS 181 is actually very much similar, except that it uses an IntelliCarb compensating carburetor that increases its engine power to 2.0 horsepower (1.5 kW). Advanced technology in the engine and combustion system also results in up to 20% lower fuel consumption and 70% fewer emissions. That is why the Stihl MS 181 is more powerful than the MS 171 even though they weigh the same. Another great feature of the Stihl MS 181 is its pre-separation air filtration system. The sucked in air has to go through a flywheel first before it reaches the actual filter. Through this step, bigger and heavier particles that make up 80% of the dirt intake are expelled into the external atmosphere; thus preventing the air filter from clogging up. The result? Stihl MS 181 chain saw filters can be used four times longer before having to be cleaned compared to other chain saws without this unique function. 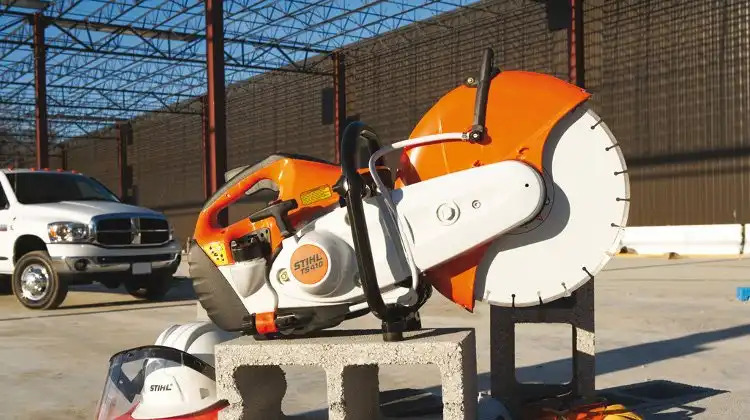 A great combination of fuel economy and power, the Stihl MS 181 is highly recommended for homeowners who want to buy a chain saw for occasional usage. Those looking for additional comfort can consider getting the MS 181 C-BE variation instead. It comes with two extra features; the ErgoStart (E) system and Chain Quick Tensioning (B) which ensure easier starting and more convenient handling.